Wanubalé is a collective of 9 young musicians based in Berlin and Potsdam, who bring an unique mixture of styles and a matchless energy onto the stage. Influences of modern electronic music paired with influences of Jazz, Funk and Dub result in an explosive mixture, that makes you want to move while still living up to high musical standards. With a brass section of four and a rhythm section that has two drummers their live sets impress with clever beats, improvisations, and wonderful arrangements. 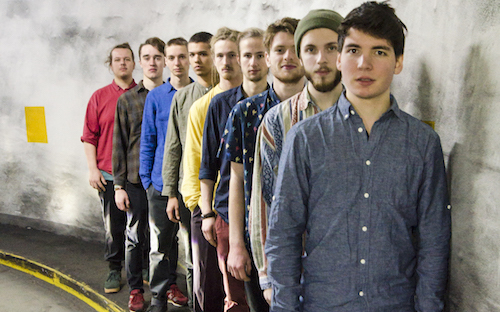 In March 2018 they won the established Sparda Jazz Award for young jazz musicians. They convinced the entire jury, including Klaus Doldinger, with their fast, modern and refined sound.